Ach'vach (Vock): (OCK vock, though in the Orcish language the 'ch' has a strong guttural sound and the apostrophe represents a hard glottal stop.) An orc in Aspen's singing class. A warrior by trade, but softer in temperament than is typical of his kind. Though he is proud of his heritage he finds the aggressive demeanor of most orcs distasteful, and so has left his home for Equinox to train in hopes he might join the Royal Army under King Oberon. Adenine: A nucleobase which attaches to deoxyribose as part of our DNA. One of the four primary bases in DNA structure. In Elf Mastery, adenine is a red bead used by Eunoe in her knitting to create animals. In both reality and in Elf Mastery, adenine is placed opposite thymine. Aegelis (Professor): (ee GELL iss) An instructor of Animal Design and various biology courses at Equinox. An elf from a long line of doctors and biologists. Known for his soothing voice and demeanor, his classes tend to fill up quickly. Aeolis: (EE o liss) Historically, Aeolis was a district in Asia Minor around 700 BC. The name derives from Aeolus, ruler of the winds in Greek mythology. In Elf Mastery, Aeolis is a city in the clouds ruled over by Duke Ukko. It is perpetually windy, and so glowing orbs are used for light rather than fire, and heavy gold or clay tablets for writing instead of paper. Much of the city has no ground, as most of the denizens fly, though many segments have been built to accommodate visitors and the small section of the population that is subject to the pull of gravity. Agrimarch (General): (AG rih mark) A General of the Royal Army. Agrimarch is large, even for an ogre, and far more intelligent than most of his kind. He is the longest-serving General under King Oberon. His specialty is military intelligence, though he has a reputation as a tactical master on the field of battle as well. Aias (Izmith): (EYE uss) Aias was a soldier whose soul was ripped from his body millions of years ago in a battle against Chaos. He belongs to an ancient and lost race of four-armed bipeds with chitinous exoskeletons. 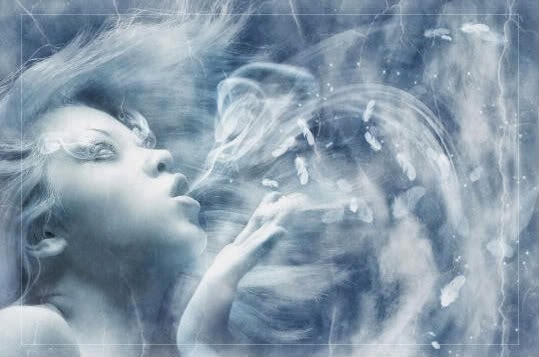 Air Spirit: A sentient being made from the element of air. Alfheim: In Norse mythology, Alfheim was one of the Nine Worlds and was considered the home of the Light Elves. In Elf Mastery it was once a major Elf empire which has broken into smaller clans, including groups of svartalfar, or Dusk Elves. It is bordered by a cloister of Digans, the earth elementals in charge of plate tectonics in the earth's lithosphere (crust and upper mantle). While the region is covered in conifer forests, it is also rocky and suffers from bitter snows in the winter months. It lies northwest of Varis and the land of Giants. Alseid: (AL see id) A nymph of glen and groves in Greek mythology. In Elf Mastery, alseids supervise the life in their region, making sure there is a balance of predator and prey, that plants and animals are growing and finding enough food, that mating occurs, etc. They also watch for emergencies such as invasive species, forest fires, illness, etc, and nurse wounded animals back to health. Alseids do have a tendency to be flighty and prefer play to work, so there is sometimes a degree of neglect. Alseids are one of the most social type of nymph, living in groups called Charms and often consorting with satyrs and centaurs. Amerile the Water-Spirit: (AM er eel) In Elf Mastery, a constellation of a crying naiad. Though the story is not told in Elf Mastery, Amerile fell in love with the moon, but as hard as the moon pulls, a jealous gnome in the Gravity Well keeps her bound to the earth. Her tears filled the oceans and seas, and her body melded with the great waters, but still the moon pulls and creates the tides. Amhlaoibh: (OW lee of) An Aos si (es shee): In Elf Mastery, a type of elf from what we humans call Ireland. Amhlaoibh introduces himself to Eunoe at the new student orientation, only to be snubbed. Anh-Bul (Director): (ANN BULL) Director of Equinox. Anh-Bul is a gorgon (see entry for gorgon). Proud, and feared because of his ability to turn others to stone, he garners little respect from his superiors and he knows it. Desperate to prove himself, Anh-Bul often pretends knowledge and ability he does not have in order to make himself look better. Though this seldom works, he has more talent than he is often credited for. The main problem isn't so much incompetence as that he is in the wrong field of employment, yet in his pride he does not recognize this any more than his superiors. Animal Design: A field of employment in the world of Order, and a popular major at Equinox. Eunoe is a gifted practitioner of Animal Design. Animal Design involves a complete understanding of DNA, and the ability to knit it with the proper tension. Animal Designers are responsible to provide the living world with both balance and variation, and annual modifications are often required as living creatures face new needs and challenges. Evolution is thus the modifications made, over time, by the world's Animal Designers. Apple Lake: An undisclosed location, somewhere beyond Aspengrove from Equinox, where Marik meets with his mysterious friend. Apple Snap: A strategic board game, similar to the human games of Chess or Go, in which colored stones are placed and moved on a grid. Each piece has an effect on the board based on its color. Aqualux: Liquid light. Mined on the sun, this bright and viscous fluid is refined and scattered about the solar system by to create the light we use to see. It can also be combined with Aurichalcum to create a light source so powerful even Erebus can't darken it. Arkwood: A deciduous forest a few hundred miles south of Equinox. Home of Eunoe and Aspen. Overseen by Eunoe's Doyenne, Eunoste. Aspen: A dryad and friend of Kyla's. Once spiritually bound to a cherry tree, her 'mother tree' was destroyed in a forest fire. To save her life, Eunoste tied Aspen's soul to Eunoe. Unlike most dryads, Aspen can now travel as long as she stays within a mile of Eunoe. Any farther causes the spiritual binding to strain and can kill Aspen if she isn't immediately attended. Aspen is shy, and quiet, but very observant and apt to notice things that others miss. She also puts a lot of faith in her instincts about the people she meets. Aspen adores Eunoe, and sees her as her protector, but often becomes frustrated with Eunoe's controlling personality. Yet Aspen can become panicked if faced with a stressful situation when Eunoe isn't present to step in. Aspen has a particular fear of fire, due to the flames that nearly killed her. She has no memories prior to that incident, and to date she and Eunoe have been unable to find anyone who knew her before the fire. Aspen has a bed across the hall from Kyla, but she doesn't sleep. Rather she melds with a tree in front of the Chiron Science Center at night to feed off the tree's nutrients. This fills most of her dietary needs except protein. For this Aspen catches and eats raw fish. Aspengrove: Kyla's home town. A village of approximately 100 elves from 15 families, living in about 20 homes. Though it is named for the numerous aspen trees in the area, the homes of the elves are built into larger trees, such as oaks. These Elvish homes are a series of pods built high in the branches and connected by narrow wooden walkways. Some shops, such as the Nim family's shoe store, are situated around the base of a tree. In addition to the shoe store, Aspengrove has a two-room inn over a bakery, a carpenter, bowyer/fletcher, and meat shop which consists mostly of pheasant, rabbit, and venison. These structures and homes are typically fifty to a hundred yards apart, so that they are often not visible to each other from the ground. Assembly Hall: A stadium near the Golden Gates of Equinox (first building on the right when coming through the entrance). It is primarily used for school-wide meetings, ceremonies, and shows. Aura: Kyla's roommate. Aura is an Air Spirit, though she insists on being referred to as a Daughter of the Air, which befits her rank. She is the ninth child of Duke Ukko, though her relationship with her father is strained and distant. Raised mostly by nannies and tutors, Aura is not close to her family and despises the pretentious attitude she finds in the aristocracy. Despite this, she is proud of her social rank and is not afraid to throw it around to get what she wants. Despite this personal pride she is polite and kind. She is a strong introvert, and prefers working to socializing. Though Aura is technically enrolled as a student she primarily teachers beginner courses in the winds. She might be closer to what we would deem a grad student in our world. Aurichalcum: Also spelled Orichalcum. In legend Aurichalcum was a precious metal, and in some stories was mined in Atlantis. In Elf Mastery it is a rare gold-colored metal that reacts strongly with aqualux (liquid light). This combination is the only known light source that can fend off Erebus' dark shroud. Avek'lis: (ah VEK liss. In the lizard language, the apostrophe represents licking your eye). A lizard-man who shared a cell with Dunkin in prison.